From her public heartbreak to her fiercely loyal fans, the Chicken Girls and Bratayley star spills secrets about life on-screen, online—and off. Imagine running around Disneyland, hopping on ride after ride with your besties and your boyf. You’re about to reach out to hold bae’s hand…when your mom whips out her camera and starts vlogging. And over the past year, the world has watched Annie go from a regular, gymnastics-loving girl to a straight-up star. 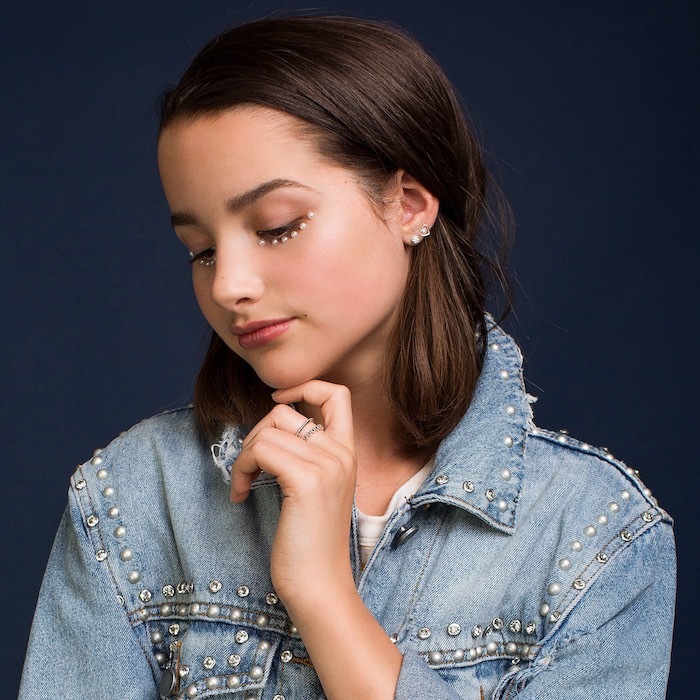 Not only has she snagged starring roles on two Brat digital network shows (Chicken Girls and A Girl Named Jo in case ya didn’t know), but she’s also had a turn on Disney Channel’s Bizaardvark *and* curated a compilation album, Lollipop, including original music from her and her friends. Oh, and the video of her single “Picture This” hit 1 million views less than 24 hours after it dropped. Here’s a little-known fact: Annie is just a nickname. Her given name is actually Julianna Grace LeBlanc. Crazy, right? The world fell for the hilarious hijinks of the Bratayley family the second they posted their first YouTube clip in 2010. And in case you were wondering, Bratayley isn’t their real last name: It comes from the cheeky moniker given to Annie’s little sister, Hayley, which is a combination of “brat” and “Hayley.” TBH, we kind of love it. As for Annie’s ideal part? Something a bit more sinister than sweet. “I’ve always been the soft-spoken, nice one,” she says. “I think a villain would be a really fun role to play.” Did someone say Mean Girls reboot? Annie’s just as obsessed with her fans as they are with her—and she likes to have fun with them, too. Just check out the hilarious “I Went Undercover as a Fanpage” YouTube video she posted earlier this year. “I was terrible at it!” she spills. “My fans are so good. I was like ‘Why can’t I do this? Why are you guys so amazing at this? !’” The page may have tanked, but it definitely made her love her fans even more than she already did. Next on Annie’s to-do list? Maybe hitting us with some fashion #realness via a collection of her own. “Creating a clothing line would be amazing. If I were to design my own clothes, it would be a mix of my favorite stores: Brandy Melville and Urban Outfitters—oh, and Topshop!” she says.